A couple of months ago I wrote a blog post on luxury bathrooms, and the increase in demand for luxury bathroom products from Chinese consumers. It seems as though the taste for extreme luxury has not died down. ‘Billionaire Vodka’ – a vodka which costs a cool $3.7m – is set to be released onto the market. To help justify the cost, the bottle is encrusted with diamonds – 3,000 to be precise. Leon Verres, the luxury brand that makes the vodka, even says the drink is filtered over diamonds. This is just one of the latest in a long line of products, such as this crystal studded airplane trolley, or these $18,000 flip flops, which are expensive for the sake of being expensive – and exclusive. The growing range in products are out of reach for all but the super rich, indicating that even as the financial situation in Europe becomes less certain, the rich are determined to keep spending on new products designed for the few. I came across an interesting press release from the International Diamond Manufacturers Association (IDMA) this week calling for the international diamond manufacturing community to restructure diamond financing. 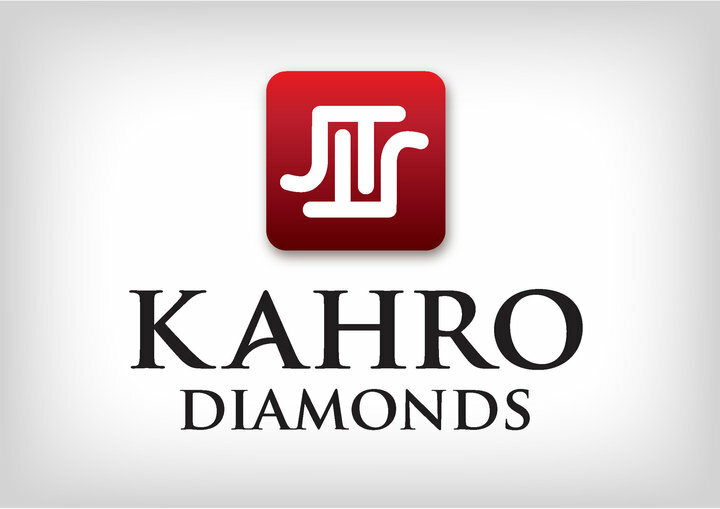 They are worried because while demand for rough diamonds remains greater than the rough supply, the same cannot be said for consumer demand for polished diamonds, particularly in the US. Should we ask ourselves why the price of diamonds has not kept pace? Actually that’s the wrong question–there is no direct link between the price of rough diamonds (based on the internal considerations of the diamond industry) and the price of polished diamonds (dictated by the consumer of diamonds and diamond jewellery, a population that was forgotten by the industry). In my view, luxury retailers must first understand why someone goes out and buys a diamond in the first place. In my PhD research, I found that luxury shoppers are looking to express themselves and connect with how they see the world. The better a retailer can help the luxury purchaser understand her goals and connect authentically to her values and personal qualities, the more successful the retailer will be. Walking out of the store, the lucky woman or man should feel empowered, special and unique, respected and feeling free. Providing the right service doesn’t come easily. A jeweller should be able to detect first who the client is. A Theta woman seeks diamond to help her be ‘truly her’ in a world where most things are temporary and dependent on social setting and circumstance. A Lambda woman wants a diamond that helps her to be unique and genuine; her diamond is unlike any other diamond on the planet, an individual selection that will make her exceptional. As for price, do not underestimate yourself. If you fell confused, the only reason is that the offer of the diamond was not done correctly. When the luxury customer is presented with the right offer, he or she knows exactly what the value of it should be. Following these values for many years we found that we can properly help the luxury customer, and together with our colleagues we were very successful doing so in the last 25 years. However, the diamond industry failed in respecting the need for luxury and tries to turn the luxury consumer into a diamond dealer when the effort should be done in the other direction. We hope that we have enough practical knowledge to start offering the luxury consumer what he or she wants. We are aware that this practical knowledge is in the hands of very few people, yet the entire world could appreciate this freedom of expression and choice. Recently we started an initiative that will bring our message to the luxury customer and enable him or her to properly purchase his or her special and unique diamond that can fit only her or him. We will need your help to check our luxury hypotheses and to see whether what we say is really convincing you. In the coming days we will address you again and ask you to be our ambassadors to help us spread our important luxury message. Stay tuned! Last August a team of diamond thieves stole 1,500 diamonds (in 43 jewelry pieces) worth £40 million from Graff Diamonds on New Bond Street in London. This week four of the thieves were found guilty of carrying out the raid, but the diamonds still haven’t been recovered. The two gunmen who had entered Graff Diamonds had handed off a black bag containing the stolen pieces to a motorcycle rider in a concealing helmet, who rode for two blocks then disappeared on foot in Green Park. The stolen diamonds were all certified and should be recognizable, but it’s possible that the diamonds have now been recut or falsely recertified. It will be interesting to see if any reappear, or if Graff would publicise their reappearance — my guess is probably not on both counts. 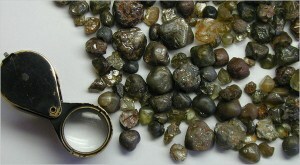 Diamonds from Marange fields in Zimbabwe have been all over the news of late. Diamonds from Zimbabwe are not currently certified by the Kimberley Process (which works to stop the trade in diamonds that finance conflict), and the Zimbabwean military has been accused of seizing control of these fields and organizing smuggling operations. There’s currently an export ban on Zimbabwean diamonds because they aren’t certified conflict-free, and this week the ban was upheld by Kimberley Process members, but Zimbabwe is now considering exporting diamonds anyway. It’s a difficult situation, because if these diamonds were sourced ethically and formally allowed to be exported, they could greatly benefit Zimbabwe’s economy and put its diamond production efforts on par with Botswana. 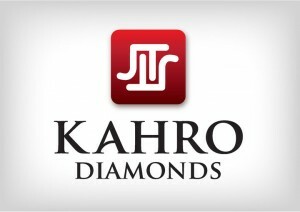 And while it appears that efforts are being made to improve the situation, Kimberley Process members weren’t confident that the sourcing of the diamonds met its standards because the fields remain under control of the Zimbabwean military, which is accused of committing human rights abuses in addition to smuggling the diamonds out of Zimbabwe. A subgroup of the Kimberley Process is meeting next month to try to reach a compromise on Zimbabwe; we’ll have to wait and see if this impasse can be resolved. 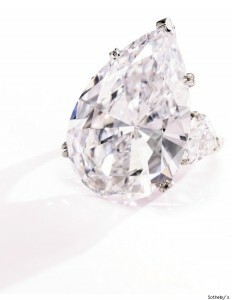 At its New York headquarters on October 19, Sotheby’s will take the diamond industry’s temperature when it auctions a 29 carat flawless diamond ring. The price it fetches will be telling of the state of the industry and the prices buyers have a stomach for. 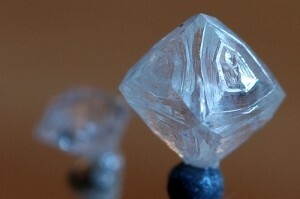 Luxist is reporting that the price is estimated at $1.8 million to $2.2 million or $61,000 per carat. A flawless diamond of this size would be eye-catching to any Theta personality, both because of its rarity and overall perfection. And while this is a truly remarkable diamond, it’s worth noting that this is yet another example of what I wrote previously about the industry forgetting the consumer. Other items included in the auction are considerably less expensive, with the next highest item expected to go for between $250,000 and $300,000. It’s an industry test to see what kind of diamonds will sell in this climate and which will not. If the only diamond left standing is the 29 carat one, we’ll know the industry will and will not tolerate. 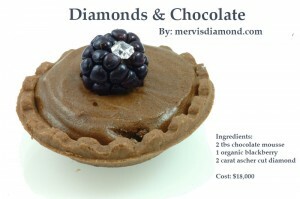 Diamonds and chocolate both carry connotations of indulgence and luxury, although each in very different ways, and they are not usually consumed simultaneously. 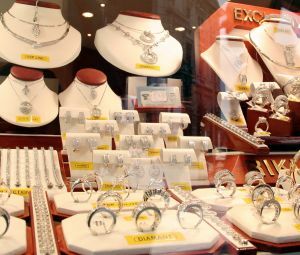 Mervis Diamond Importers is looking to change this by inviting their customers to an out of the ordinarily shopping experience on the 22nd of July. They offer an evening where customers can drizzle fresh fruit in a diamond topped chocolate fountain and sip chocolate martinis while pursuing a selection of diamonds at reduced prices. This is an interesting gimmick, which should offer distinctiveness and help generate interest in a slow market. However, positioning an event as an upscale luxury experience, while simultaneously marketing it as a chance to bargain hunt at reduced prices might be counteractive due to the inconsistent messages it sends out.